Teaching and learning in an English as a second language (ESL) course is something that we find essential to international student support not only in overcoming difficulties but also in aiding understanding of the new language and culture that these diverse students are now a part of. Although it can take an almost insurmountable length of time to overcome and understand such difficulties, we know that a supportive environment and welcoming ESL instructors can make a difference. It is especially important that ESL instructors regard international students as assets and make sure that the academic community values their important contributions to the campus. That is, they can be a great motivator for ESL learners to continue to pursue their academic objectives. For this particular reason, this chapter sheds light on corrective feedback as a powerful pedagogical and motivational tool that could help language learners improve their linguistic performance. It goes without saying that it is more difficult than one can imagine for individuals to study in a foreign country far from their homes. They must adjust to a new language (including social and academic varieties), culture, tradition, and the like, in order to attain their short-term educational goals and academic success. In doing so, what plays the most important role is language (Gopal, 2016). It is an innate ability that only humans have, and thus, communicating and interacting with others are essential parts of our daily lives (Smit, 2014). International students have a large presence at our institutions of higher education in the United States. According to Zong and Batalova (2016), 1.18 million students were taking classes full time on F-1 and M-1 visas. 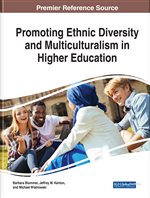 With this large number of international students colleges and universities must have in place support systems to not only retain these students for successful degree completion, but also highlight their strengths and value as they add diversity to campus. Included as one of those support services can be English language institutes where students take academic, full credit ESL courses and participate in other services offered by this type of office such as tutoring, opportunities for students to get involved in the campus and local community as well as activities to showcase international students’ language and culture. In addition, international students’ academic strengths and their unique knowledge and viewpoints can be harnessed through coursework and extra-curricular activities with all students, faculty, staff and community members to enhance the higher education experience. The main reason why we decided to become language educators in the United States is that as a native speaker of English with a foreign-language background and study-abroad experience and as a native speaker of Japanese with higher education degrees from universities in the United States, the perspective on international student struggles and necessary characteristics for persistence are apparent to both of us due to our personal experiences. Although we are focused on providing language skills and cultural understanding to support students in their academic endeavors as second-language and foreign-language learners, the secondary goal must always be to teach them the enjoyment of language learning and cultural appreciation. Hence, from both a teacher’s and a learner’s perspective based on our experiences, we would like to discuss possible ways to support international students through English as a Second Language (ESL) instruction. ESL instructors are required not only to motivate their students to engage in learning English but also to encourage them to take part in class activities, including group and pair work prepared for effective learning. In addition, it is essential to give them the tools they need to interact in the social and academic world outside the ESL classroom. Setting up various activities, keeping in mind that we are living in the language and culture that they are learning about, is a very powerful task that we as instructors must undertake. The students in our classes are acutely aware of the situation that everyone in an ESL class is lacking in some sort of language and/or cultural way and needs the target language and culture to be successful in their academic careers. Therefore, they must begin to use that language and function in that culture for the purpose of communicating and completing tasks from schoolwork to shopping at the grocery store. However, since some students are afraid to make mistakes and/or errors in front of others, it is also important for instructors to recognize students’ strengths and weaknesses, which can be done through various tasks such as speech production (e.g., presentations) and writing performance (e.g., essays) (Jester & Stoneman, 2011). Moreover, each learner is an individual with an identity that can impact his or her learning in affective ways. That is, ESL instructors can strategically help their students develop their strengths further and gradually reduce their weaknesses to move toward fluency in the target language and culture. This can be accomplished through finding supportive ways of using effective teaching tools such as corrective feedback, as will be the focus of this chapter.